Free Fall – Ninja Escape is a free adventure game for Windows 8 and 8.1 computers. 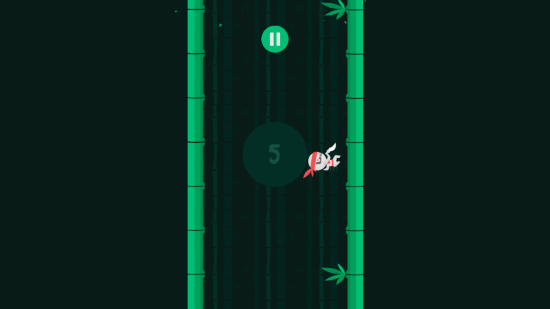 A ninja is on a deadly hike and is trying to make his way out of the jungle. But before he could get away, he needs help with getting down to the ground. The ninja is deep and high into the mountains, and the only way down is through trees. Yes, with the help of a knife, the ninja has to make its way down, but the path is not easy. There are many obstacles, which includes tree branches and tribal people. 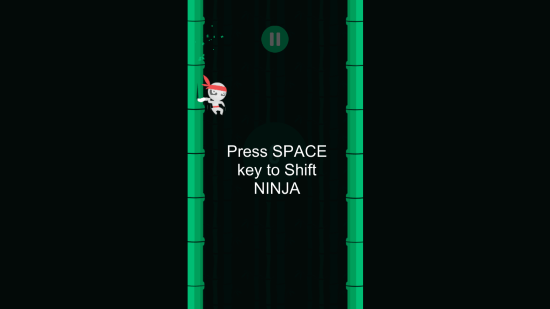 Save the ninja in this adventure game for Windows 8 by guiding him down. This 18MB action game for Windows 8 can be downloaded from Windows App Store. Search it by typing its name in the search field of App Store or simply click on the link to the installation page linked below. On the Installation page, press the Install button to download and install it. You can play this adventure game for Windows 8 through the Space key or from the mouse’s click. 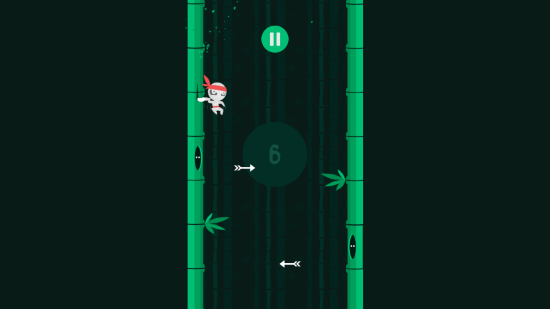 The ninja is continuously falling and you have to jump from one tree to another to avoid obstacles. The obstacles are present in the form of branches and the tribal people. Branches are easy to dodge as they are stationary. But, the tribal people throw darts. These darts are dipped in poison and they are shot randomly, which causes sudden fall. So, that’s the real obstacle. Once you get stuck with an obstacle, you loose your life. Once you loose life, you will have to start all over again to run as far as you can. Making a high score is very difficult, as it requires extreme precision. The most far I could make was 11 in this adventure game for Windows 8. After a game is over, the best score along with your current score is displayed. Keep playing to achieve more, as this game gets addictive. This adventure game for Windows 8 has minimal graphics but is yet attractive. You can spent hours playing it as its addictive and easy to play, though difficult to master. Its a very good overall package for entertainment as it provides more for the amount of space it captures. 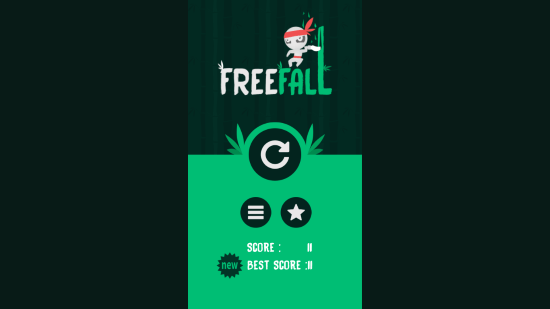 Download Free Fall – Ninja Escape for Windows 8 and 8.1 computers now.